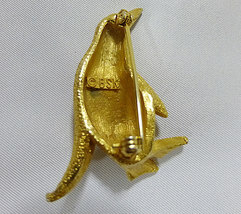 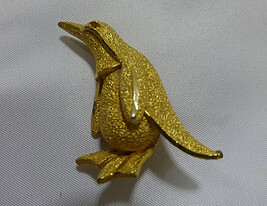 Vintage Brooch Pin - BSK Gold Tone Penguin Measurements: 1 1/2" across by 1 5/8" high Condition: Very Good Description: A gold tone penguin pin missing the red rhinestone eye. Most of the penguin's body is textured. 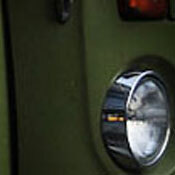 The back is marked "BSK".